R comes with a number of sample datasets that you can experiment with. Type data( ) to see the available datasets. The results will depend on which packages you have loaded. Type help(datasetname) for details on a sample dataset. 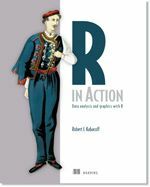 This free interactive course covers the basics of R.